← Team USA in Barcelona on Segways. Yes!! Literally within minutes of me posting how Lob Country just made it cool to ride segways… oh, look who’s re-offering an old deal? Lobsters make the world go ’round. 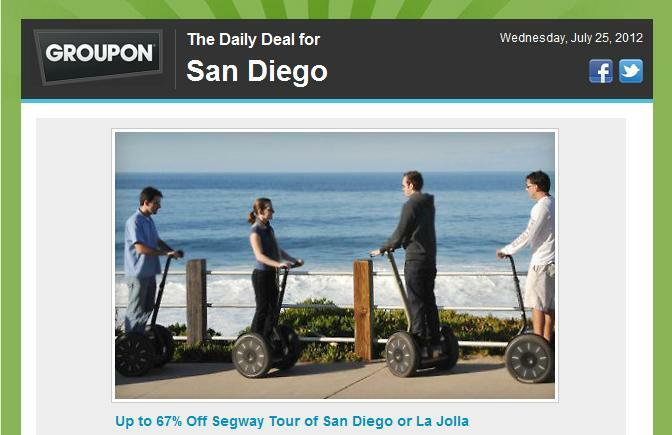 This entry was posted in News and tagged San Diego, san diego groupon. Bookmark the permalink.